The World Series may be on Fox, but NBC Bay Area is the broadcast home of the San Francisco Giants and that gets us some great perks when it comes to the top brass of the organization. 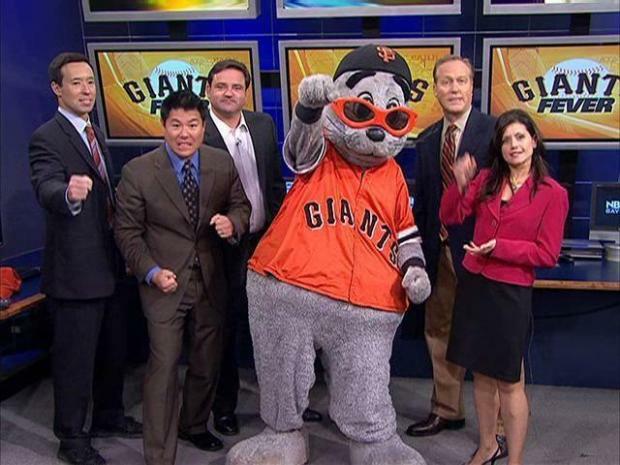 Case in point: Monday our morning news meeting was interrupted by the Giants mascot Lou Seal. Lou Seal apparently wanted to play a role in what Giants stories we covered today. Seals can't talk of course, but he was still able to communicate with his eyes the stories he thought needed attention by our news and sports crews when it came to Giants Fever. 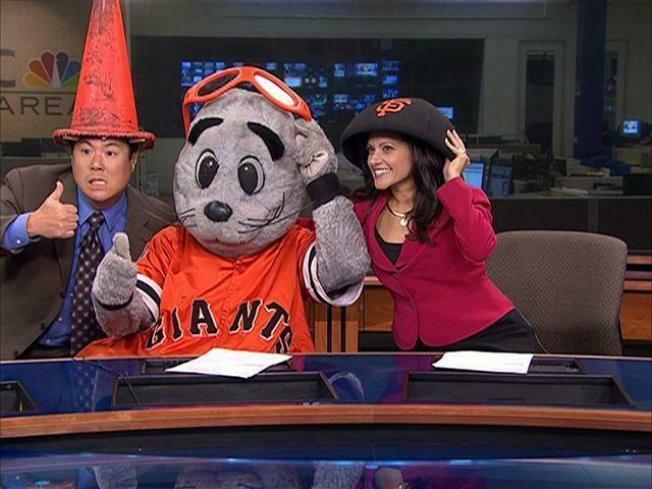 Lou Seal then took Brent Cannon's seat at the anchor desk and helped Laura Garcia-Cannon do a "Today Show" cut-in. Being a good sport, he also stuck around for some more fun in the newsroom, posing for photos and taping on-air promotions, which you will be seeing on NBC Bay Area all this week. Lou Seal is a mainstay at the ball park and he seems to fit right in no matter the location. He is probably one of the most in demand people in the Bay Area this week. He said he doesn't plan on getting much sleep as he spread Giants Fever whereever he can. Lou Seal took over for the Crazy Crab over a decade ago and is named for the waterfront animal as well as a throw back to the San Francisco Seal baseball team.